We’re over the moon that we can announce the impending arrival of a brand new album! After over 5 years since the last album, the planets have aligned and we’ve managed to create ten new songs in a perfect storm of happiness, creativity and tenacity. This time we met in Billinudgel NSW, which is home to Church Farm Studios. 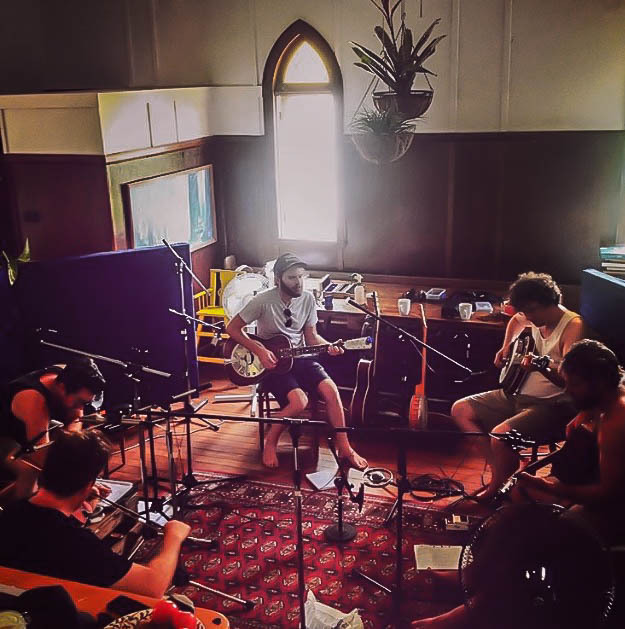 In an old wooden church located in what can only be described as paradise, the five of us reunited and recorded an entire album in 3 days! We got some heavy hitters in to round out the recording and we think you’re all going to love it. The fast songs make you want to dance, the slow songs make you weep and when it’s over you want to play it all over again! This time we’re releasing on vinyl as well as CD. The album release date and launch tour will be announced soon. We’ll see you on the road!